It was a glorious day for the publisher of Ojutole Blog, an indigenous Online Media, Taofik Afolabi when he paid a courtesy visit to the office of the chairman, ‘Lagos Chapter of Nigeria Union of Journalist , Dr Qazeem Akinreti who was his former lecturer at ‘Nigerian Institute of Journalism, Ogba, Lagos. The Ojutole Blog crew was received by the very hardworking chairman, who was very delighted and happy to welcome his former student to his office. While speaking on the purpose of his visit to the Chairman, Afolabi said, “We are here because of three things Sir, to congratulate you on your election as Lagos NUJ Chairman, to thank you for the word of advice given to me when I was your student at NIJ, your advice gave birth to Ojutole Blog, if not for your word of encouragement to create a blog, I would have been in labour market today after my resignation from my former employee . 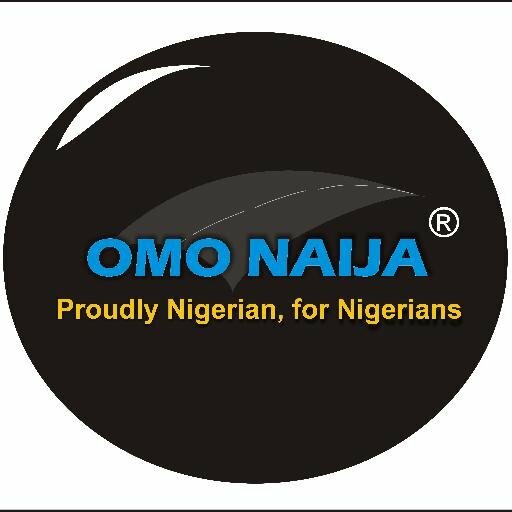 Lastly, to seek for your unflinching support for Ojutole Blog. I neither have gold or silver to give you; but rather I want to thank you so much Sir for everything”. 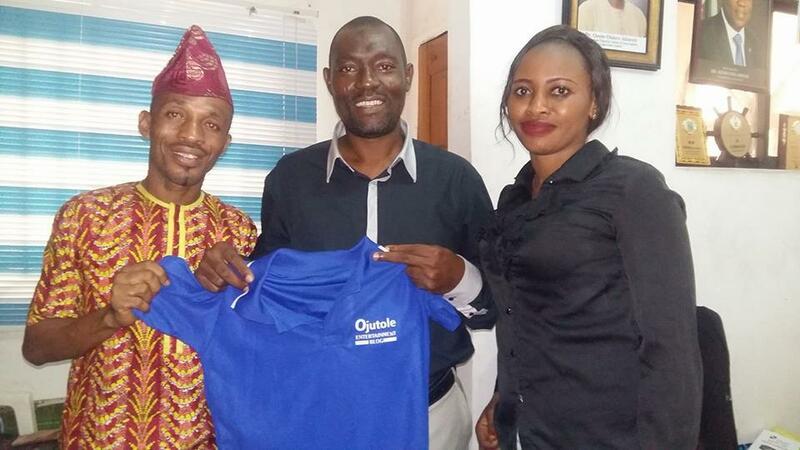 In his words, Dr. Akinreti saluted the courage of Ojutole Blog Publisher for going into online media. He said, ‘Yes, you have taken a bold step, but you must bear in mind that you are going to face some challenges at initial stage, but by the end you are going to be a very happy person, congratulations in advance. “Among my students, you are the second person to take this great step, Simeon Atebo did take similar step after he graduated, he resigned from his place of work. Today he is a very happy and successful online media publisher. I wish you well in your journey to the world of online journalism.” He posited. Dr Qasim Olalere Akinreti of the Voice of Nigeria, VON emerged the Chairman of the Nigeria Union of Journalists, NUJ, Lagos State Council some months ago. He defeated Mr Leye Ajayi of the News Agency of Nigeria by 288 to 272. Akinreti Olalere Qasim was born 10th October, 1967. He obtained his First School Leaving Certificate in 1979 from the Seventh Day Adventist Primary School, Ibadan. By 1985, he got his West African School Certificate, WASC from Loyola College. Two years later, in 1987, he got the Higher School Certificate (HSC) from Oduduwa College Ile ife. He was later admitted into University of Ibadan and graduated with a B.ED Special Education (Communication and Language Arts) in 1991. Two years later, he was admitted into Nigerian Institute of Journalism, Lagos and came out with a Post Graduate Degree, PGD Journalism in 1993. His desire for knowledge knew no bounds. Upon his return to Nigeria, he proceeded to Babcock University, Ilishan Remo, Ogun State, where he obtained Mphil Mass Communication (Broadcasting) in 2015. He rounded up his educational pursuit with a Ph.D from the same university in 2017. 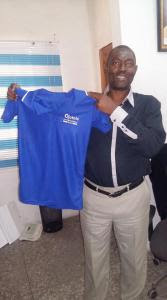 A very lively fellow, humble to the core, Akinreti Olalere Quasim has myriads of professional qualifications. They include: Certificate Challenges of 21 st Century Journalism(2008); Certificate Digital Media Production , Rhodes University South Africa, 2008; Certificate Human Rights Reporting(2007) ; Certificate Media leadership Academy , US (2006); Certificate Train The Trainers Course (Media), Poynter Institute of Media Studies, Florida ,US(2006);Certificate World Bank Institute (Media Leadership Training)(2006);Certificate Internet Broadcasters Course, Caldecott /Singapore Media Center , Singapore(2000); Certificate Effective Public Relations (Chattered Institute of Bankers of Nigeria (1995) ;Certificate Effective News Writing(1994) and Certificate Computer Appreciation and Desktop publishing , BM Computer School ,Lagos(1994).